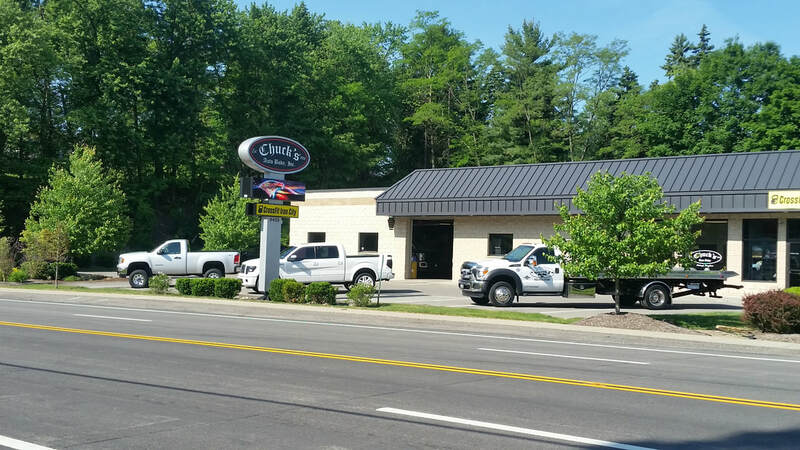 Chuck’s Auto Body Inc. is a 3rd Generation Family Collision Repair Business that was established in 1956. Since 1956 our family owned and operated repair center has repaired countless automobiles back to OEM specifications. Our repair facility provides foreign & domestic repairs on all vehicles. We pride ourselves on providing quality work in a cost efficient manner. Our warranty on all repairs gives you and your family peace of mind wherever your travels may take you. Over 60 years of experience has taught us that quality not quantity is the key to success. We are able to repair anything from a self-pay scratch to an automobile accident that is claimed through insurance. We welcome and work with all insurance companies and their claims. If you have any questions in regards to a claim process, please feel free to call and we can lend you advice in regards to your misfortune. Besides collision repairs, we also are an official Pennsylvania State Inspection station that can provide all your mechanical needs as well. For more information on the services we provide please look at our “Services” page on our site for a full list of repairs. ​We look forward to serving you and your family. Please stop by or call us at 412.364.9292. We are conveniently located at 9455 Perry Highway (Route 19) in the North Hills ten minutes north of Pittsburgh in McCandless Township next door to Enterprise Rental car.